Beauty e-tailer Nykaa has closed its Series D round of investment at Rs 165 crore ($24 million) from its existing investors, a company statement said. The round includes both primary investment and secondary exit of Nykaa’s early stage investors. Hero Group’s chairman Sunil Munjal, the family offices of consumer goods maker Marico’s Harsh Mariwala and private equity investor at Warburg Pincus Dalip Pathak, and others have reinvested in the firm in this round, the statement added. 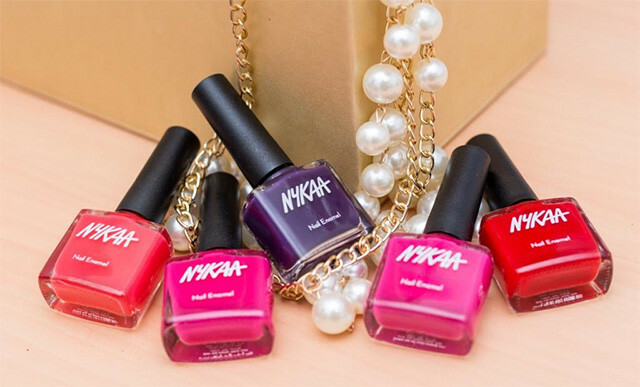 Nykaa will use the funds to boost its growth and expand its retail footprint, it said in the press note. In April this year, a report in The Economic Times stated that the firm had raised $11.32 million (Rs 75 crore) from its existing investors, including those mentioned above and some high net worth individuals. The report also said that three of the firm’s investors, including TVS Capital Funds, sold part of their stakes. The round, which was a Rs 170-crore investment, valued Nykaa at $453 million (Rs 3,000 crore) and brought in about Rs 95 crore to some existing shareholders, ET had reported. For the financial year 2017-18, Nykaa reported net revenue of Rs 570 crore versus Rs 214 crore in 2016-17. The company claims that it will turn profitable in 2018-19. Since 2015, the firm has been operating on an omni channel model and currently has 17 stores across the country in two formats—Nykaa Luxe and Nykaa On Trend. The company also offers its own in-house beauty products portfolio. The company has been continuously expanding its offline presence in the country. It aims to open 55 stores by March 2019. It claims to offer over 850 brands and 100,000 products. With brands like M.A.C, Bobbi Brown, Clinique, Estee Lauder and Smashbox Cosmetics on the online platform, the luxury vertical accounts for 15% of total revenue for Nykaa. In 2014, Nykaa raised $3.4 million from HNIs and non-resident Indians and in October 2015, it secured Rs 60 crore ($9 million) led by private equity firm TVS Capital. Techpro Ventures, the family office of Atul Nishar (former Hexaware promoter) and the family office of Marico chairman Harsh Mariwala, among others, also invested in this round. In September 2016, Hero Group’s Sunil Munjal led a $12-million round and in December 2016, Max Ventures, part of industrialist Analjit Singh’s Max Group put in an estimated Rs 16 crore. Horizontal e-commerce players such as Snapdeal, Flipkart, Myntra and Amazon also compete with Nykaa and Purplle.